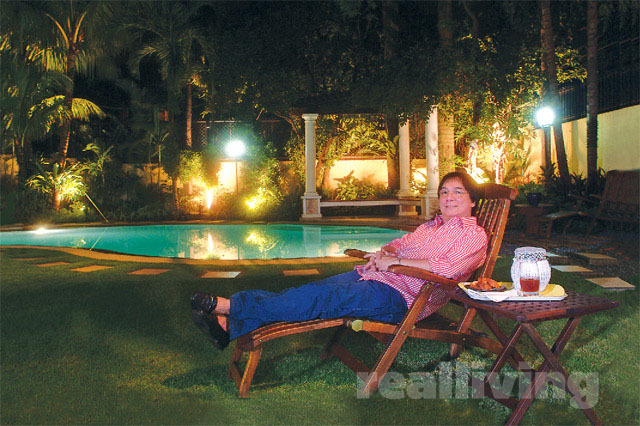 Comedian, actor, and TV host Joey de Leon has been in the local entertainment business since the 1970s. He has been in the consciousness of most Filipinos almost daily, as he is one of the hosts of Eat Bulaga!, the country’s longest-running daily noontime show, and he has been co-hosting it since 1979. In spite of his wisecracking demeanor, Joey has a sophisticated and artistic side. He was fond of drawing even in his youth, which led him to take up architecture at the University of the East, and then at National University. 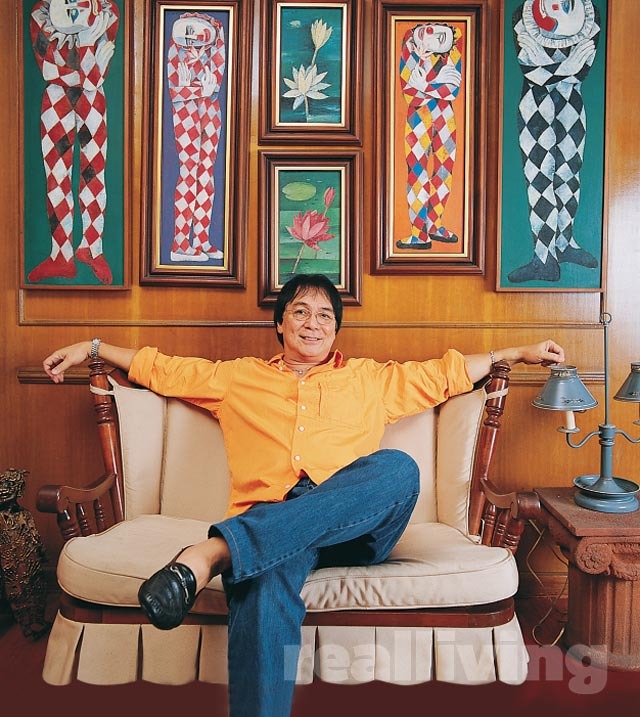 The comedian has a sizeable collection of paintings by noted Filipino artists, and his favorite is the National Artist Ang Kiukok. Joey continues to paint, sketch, and draw, and has participated in a number of exhibits since the 1980s (a number of his works are of clowns, which allude to his comedian-jester background). 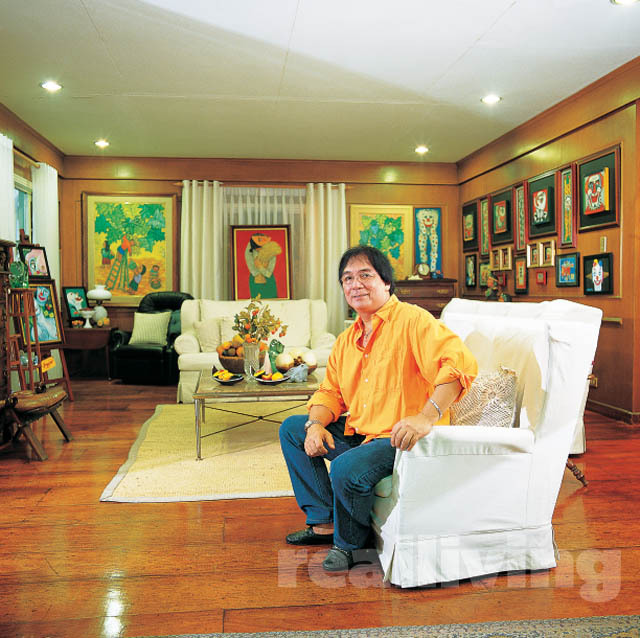 His classical-style home in Pasig is a testament to his fondness for art, and serves as a backdrop for his impressive collection of paintings. 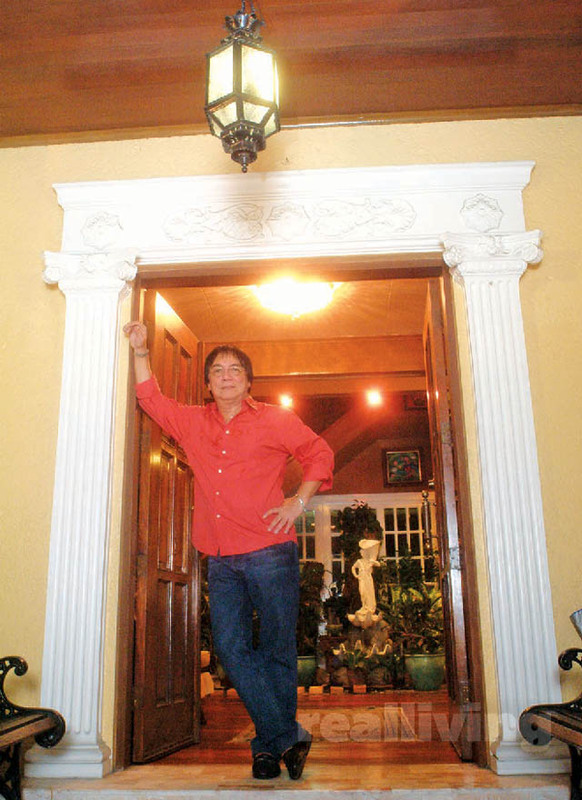 His Pasig home has classical-style wrought iron balustrades and grillework on the façade, as well as traditional details like the pilaster and pediment on Joey’s main door. A pocket garden replete with a classical fountain can be spotted in the foyer, behind Joey. The paintings of clowns and lotus flowers on this wall are by National Artist Ang Kiukok. Joey also has his own paintings of clowns, which are displayed on a nearby wall. The painter Ang Kiukok, who passed away in 2005, is noted for his “figurative expressionism” and occasional violent imagery in his paintings. He was conferred the National Artist award in 2001. More impressive works of Ang Kiukok line the wall of Joey’s wood-paneled dining area. 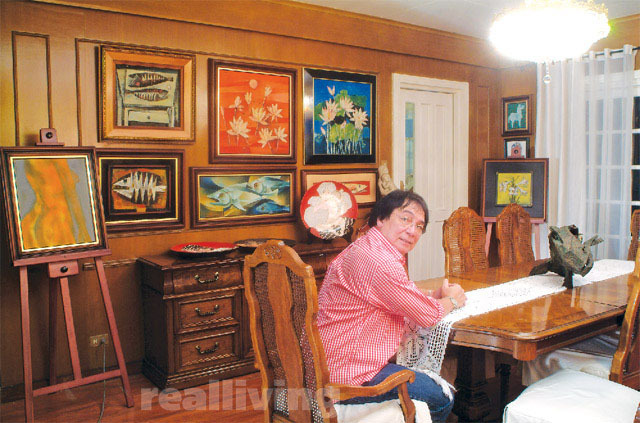 Set on top of the buffet table by the wall is a ceramic plate by BenCab, another National Artist. “’Yong paintings, lahat ’yan, gumagalaw yan, nagbabago ng posisyon. Therapy ko ’yong pagpapalit. 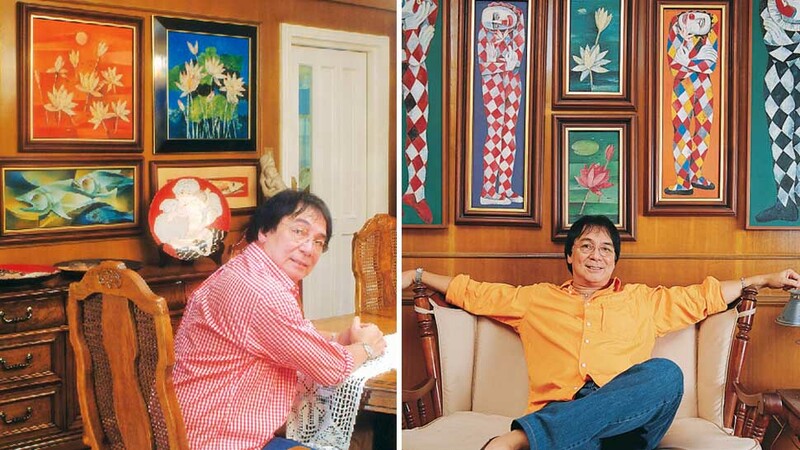 Enjoy na enjoy ako na nagsu-screw, nagpapako, nagpapalinis ng painting,” Joey shares. The house had a pool that was shaded underneath an extension. Joey had that old pool filled and covered, and then had a new pool dug up in the garden. “Naisip ko, walang kuwenta ang pool ’pag walang araw,” he explains. The new pool, along with landscaping, now gives the yard a resort-like ambiance. Read the original article in the May 2003s issue of YES! Magazine. To download a digital copy of YES!, visit Summit Newsstand at http://summitnewsstand.com.ph/yes-magazine.